I came across another voice for the featured female section of the site , Inelia Benze. I have only listened to a couple of her videos so far, one that she did recently at a Meet and Greet in Santa Barbara California. 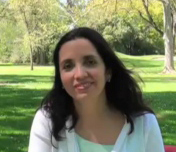 Her message is that of raising vibrational awareness on the planet via personal development. She talks about not looking in the outer world for solutions or saviors, in other words be the change. That we should go within and learn to stand on our own two feet so to speak. She has a lovely speaking voice that makes listening a pleasure for the ears. Like many of the voices out there she is coming from a place of unity consciousness , she talks about processing our fears, bringing them into the light to be dealt with. She is essentially talking about the shadow work that we all must do if we want to grow and expand our perspective of reality. This is something you cannot pass on to someone else, its a process that the individual must take responsibility for. She says if you want to raise your vibration , you need to let go of the baggage that holds you in these lower fear based vibrational states . Inelia tells us that a shift in consciousness is occurring where we can let go of the ideas that this reality is a solid place, and that we are stuck with some sort of pre determined destiny. Its a new paradigm , we no longer need to go through pain and suffering anymore to learn, we can manifest a reality that is in alignment with our highest joy. By Simply Being , being more of who we are , we are helping to stabilize the field, helping to soften things up a bit so we don’t have to go through cataclysms, this is the work each of us can do within to help raise the collective vibration. Check out the books below by Inelia Benz ! So take some time sit back and listen to the lovely voice of Inelia Benz.